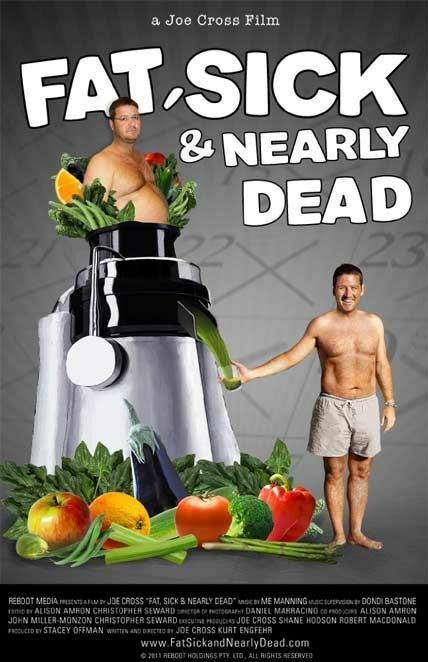 FAT, SICK & NEARLY DEAD is an inspiring film that chronicles Joe’s personal mission to regain his health. With doctors and conventional medicines unable to help long-term, Joe turns to the only option left, the body’s ability to heal itself. He trades in the junk food and hits the road with juicer and generator in tow, vowing only to drink fresh fruit and vegetable juice for the next 60 days. Across 3,000 miles Joe has one goal in mind: To get off his pills and achieve a balanced lifestyle. While talking to more than 500 Americans about food, health and longevity, it’s at a truck stop in Arizona where Joe meets a truck driver who suffers from the same rare condition.